The Okanagan truly is beautiful all year round; especially, as summer gracefully ages into fall. Be camera-ready at all times, even during the drive up! The beautiful scenery never ends. 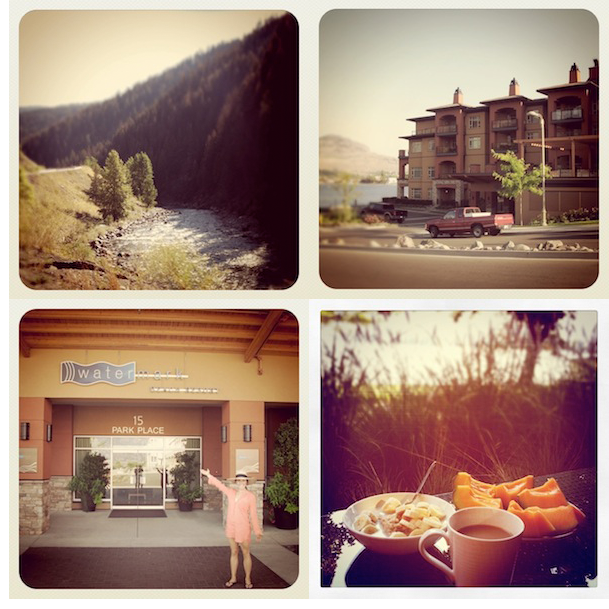 In Osoyoos, stay at the Watermark Beach Resort. The beachfront villas include fantastic, fully stocked kitchens and barbecues. Dine at Watermark’s restaurant at least once, and order one of their delicious, hearty salads. Play tennis at the highschool courts, only a five minute drive away. Swim in the Osoyoos Lake (home of the warmest lake waters in Canada) or the Watermark’s pool. Brew your own coffee in room (it’s good stuff) or head to JoJo’s Cafe on Main Street. Spend at least one day visiting wineries in nearby Oliver. Do not miss Silver Sage. Purchase any or all of Silver Sage’s dessert wines, including ‘The Flame’, which is spicy and fantastic mixed with a fruity version. Dine at ‘The Sonora Room Restaurant’ at Burrowing Owl Winery, set in the middle of Oliver’s hills. Makes for a very romantic evening! Try the Dry Aged New York Steak (to die for). 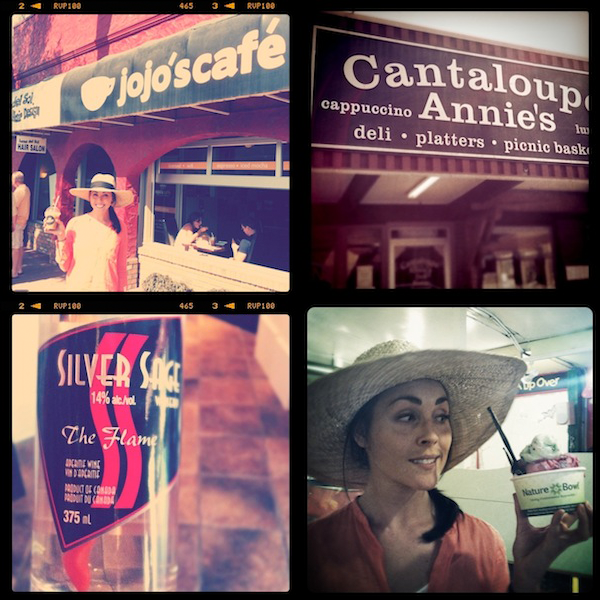 On the drive from Osoyoos to Kelowna, stop at Cantaloupe Annie’s for a custom-made sandwich. They’ve got quite the selection of deli meats and cheeses. Stop at Tickleberry’s in Okanagan Falls for a delicious, American-sized ice cream. Their small is three massive scoops. Thanks to my Twitter friend @Elain_Evans for this recommendation! En route to Kelowna, make a dinner reservation at Ricardo’s Mediterranean Kitchen, located a short distance away in Lake Country. 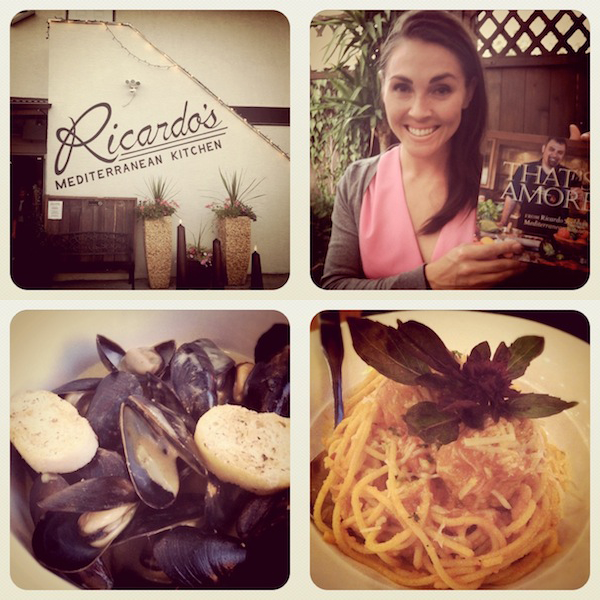 At Ricardo’s, order the Halibut Cheeks, the Spaghetti & Meatballs, the Tiramisu, and the Panna Cotta. These dishes are my favorites. Introduce yourself to the owners, Ricardo and Sue. They are such wonderful, warm people. I can guarantee you’ll love them. Buy Ricardo’s new cookbook — it’s filled with all the recipes he uses at the restaurant! Such simple, delicious Italian food. 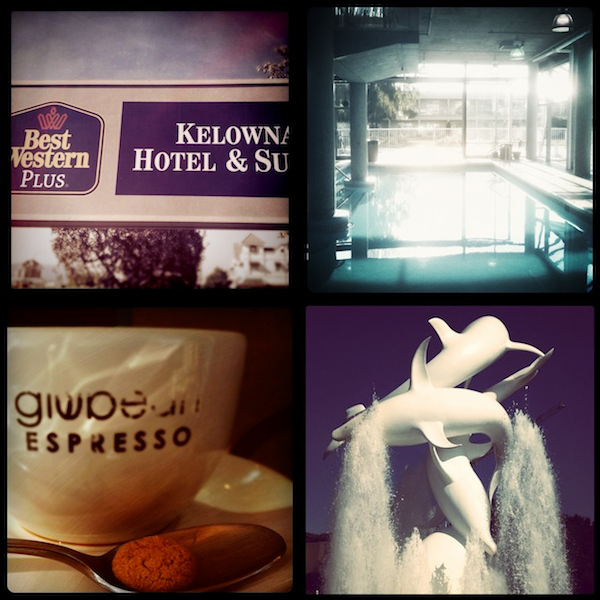 On my recent weekender, I stayed at Best Western Plus Kelowna. It was clean, friendly, and had nice swimming/hot tub facilities. In the morning, head to Gio Bean — the town’s hotspot — for a coffee. For brunch, try The Bohemian Cafe. Expect a line-up. It’s worth the wait. For lunch or dinner, dine on Twisted Tomato’s new patio, and let me know how it is. This is the new spot of Chef Michael Lyon (as seen on Food Network Canada), and I’m guessing it’s great. Drive to Carmelis Goat Cheese for a fun afternoon sampling all natural goat cheese from the Okanagan. I hope you enjoy my recommendations! If you discover something you think I should know about, feel free to tweet me (@erin_ireland) or write on my Facebook wall. And huge thanks to Thompson Okanagan Tourism for their great suggestions, information, and gift package. 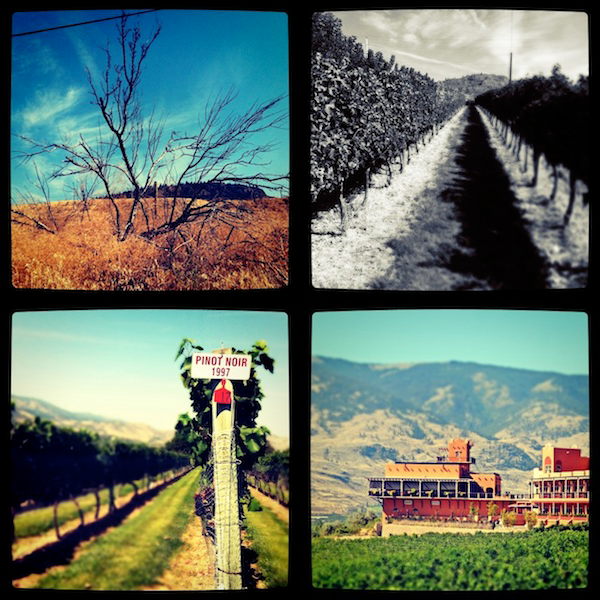 Head to their website here for more info on the Thompson Okanagan region. Also thanks to the following spots included in the gift package that I wasn’t able to visit: Accent Inns, Beyond Wrapture in Kelowna, Big White Mountain, Chop Restaurant, Okanagan Wine Festivals Society, Sandman Group, Kelowna, Smudge, Summerhill Pyramid Winery, & Wineries Refined.